Come and solve the Diablerets Cluedo Trail riddle starting in the village then heading along the river to Le Droutzay. Start from the Tourist Office and head for the Les Diablerets railway station to find the first station. Then after the station, take the path along the river towards the bridge next to the Catholic church. The second station is before the bridge. Then continue to the Parc des Sports for the third station and then follow the path to Domaine des Sources where you’ll find the 4th station. Then continue your walk to Le Droutzay for the 5th station. To return, head along the Route d'Aigue Noire then the Chemin de la Corbaz back to the centre of the village. 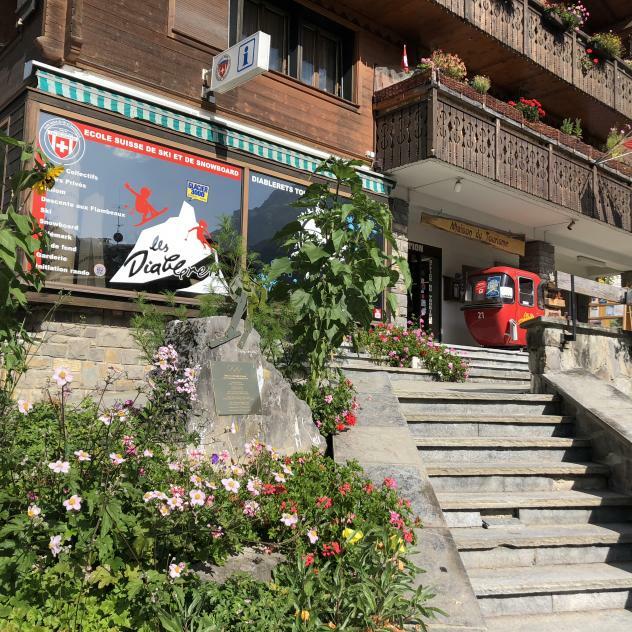 When you get to Les Diablerets, continue along the Rue des Ormonts to the Jardin Alpin which is the sixth and last station of the Cluedo Trail.